Play Tic Tac Toe Online. 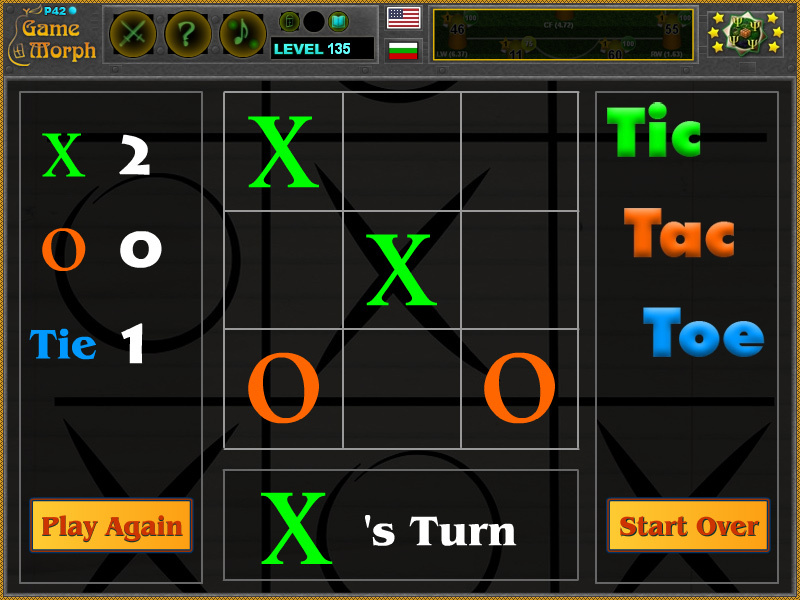 "Tic Tac Toe" is a free online knowledge level game, to make a diagonal, horisontal or vertical lines to win. 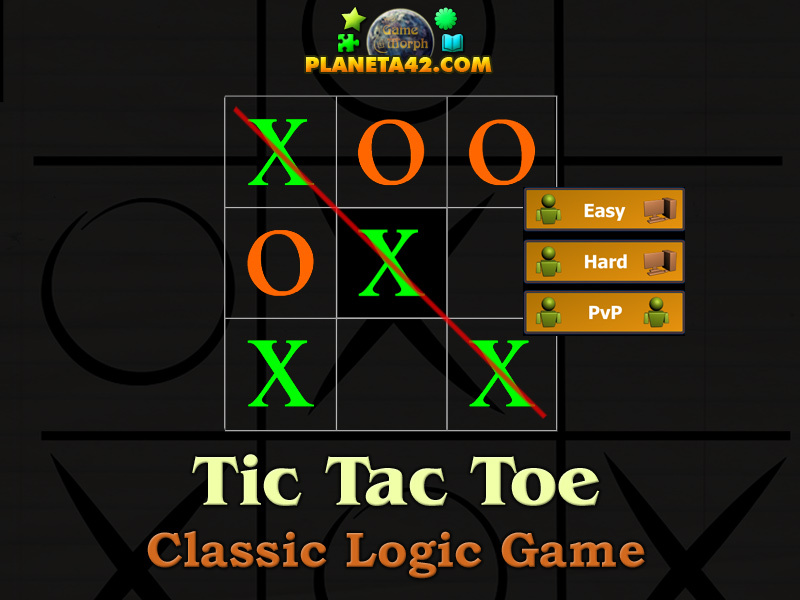 Play Tic Tac Toe online against computer or other player. Pencil and paper game. Fun logic learning game. Make 10 points with X player to get a new knowledge level. How to play Tic Tac Toe. Choose a game regime. Point and click in a square to place a X mark. Make a diagonal, horisontal or vertical lines of 3 squares to win a point. You play with the green X player and your aim is to make 10 points before the red O player or 10 Ties. The classical rules of the game are explained in Class Subjects section. Know how to win a Tic Tac Toe game and get +1 Knowledge Level. Tic-tac-toe (American English), noughts and crosses (British English) or Xs and Os, is a paper-and-pencil game for two players, X and O, who take turns marking the spaces in a 3x3 grid. The player who succeeds in placing three of their marks in a horizontal, vertical, or diagonal row wins the game. Because of the simplicity of tic-tac-toe, it is often used as a pedagogical tool for teaching the concepts of good sportsmanship and the branch of artificial intelligence that deals with the searching of game trees. It is straightforward to write a computer program to play tic-tac-toe perfectly or to enumerate the 765 essentially different positions or the 26,830 possible games up to rotations and reflections on this space. Labels: Paper and Pencil Games , Classic Games , Learning Games , Logic Games , Education Games , Free Online Games.